CRP Test a simple way to find out if your pH is leading you toward a heart attack and or disease's caused by over all inflammation. Root Causes of disease is acidity and environmental toxins such as metals and chemicals; all of which results in inflammation. Inflammation is the root of so many problems. Realize that addressing this one problem alone will undo more health problems than you can ever tackle one at a time. As you cleanse and alkalize each background health problem, that you forgot you had, will show up one at a time. As you clear the dominant one out the sub issues begin to resolve quickly. 1) Acidic eating and emotions must be analyzed. We must alkalize the system. Thinking, eating and speaking in ways that support your body/mind. 2) Toxic environment on multiple levels Water, air, soil, community and family has become too toxic and overload is happening. 3) Inflammation the result of this acidic / toxic life style is the hidden factor to disease. Independent studies that appeared in the New England Journal of Medicine say inflammation is as potent as cholesterol. An article in Men’s Health (Dec 2004), Bonfires of the Arteries, concurs, reporting that “inflammation is the slow burn that sparks thousands of heart attack and strokes every year”. According to Paul Ridker, MD, a professor of medicine at Harvard Medical School, “Half of all heart attacks and strokes in the United States each year occur among people with essentially normal cholesterol levels”. Dr. Ridker continued, “There is more to heart disease than just lipids. A heart attack occurs when plaque ruptures inside your vessels. Rupturing is not dependant just on how much plaque is present, but also on the level of inflammation”. According to a 2003 report from the University of South Florida, chronic inflammation partly due to an estrogen deficiency may render postmenopausal women vulnerable to degenerative conditions such as arthritis, osteoporosis, atherosclerosis, and Alzheimer’s disease. Immunity has to do with what is called the milieu. Milieu is a French word meaning something like intimate environment, the terrain inside your body. It's a more encompassing term than pH the acid-alkaline balances. If we alkalize, we reduce the impact of infection, and this explains why most immune herbs are bitter (alkaloids are bitter.) When researchers have watched live blood and see cells dying prematurely. I am certain this is often because of acidic conditions. life, let alone your joints and ultimately your heart and arteries. Most physicians reject this test as too general. It can tell you if you are in dire need for the anti inflammatory herbs to stop it in it's tracks. The scoring on this test is 0 = perfect score you are in proper alkalinity. 1 = warning you are acidic and do something now. 2 = advanced acidity and disease state. 3 = warning you are in danger of severe damage having already occurred and arterial erosion has been done let alone the over all weakened state for disease to have taken over or in process of doing so. Better yet set an appointment and find out what you need to do for your over all well being. 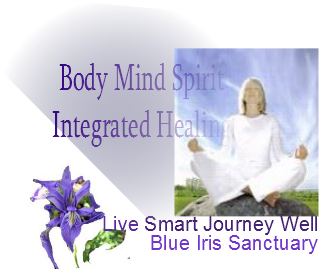 From diet to supplements and herbs Live Smart and Journey Well can help. I have been pushing the CRP test for years and just now the health community is recognizing the health implications of acidity in the body and it's being the underlying issue in disease. The benefit of the CRP test goes a long way in understanding where you stand and the potential for disease. This one simple CRP (C Reactive Protein) test which is an inexpensive way to discover if you are in a dangerous overall state of inflammation. That women's death from heart attack and stroke is over one third of that population group. That is too high, it is unnecessary and you have the power to resolve this for yourself. $10 blood test, Knowing this can save you or your loved one a major "widow maker" heart attack. Here is an article to help you. said she had just tripped over a brick because of her new shoes. A neurologist says that if he can get to a stroke victim within 3 hours he can totally reverse the effects of a stroke... totally . He said the trick was getting a stroke recognized, which is tough. RECOGNIZING A STROKE Thank God for the sense to remember the "3" steps, STR . Read and Learn! If he or she has trouble with ANY ONE of these tasks, call 999/911 immediately and describe the symptoms to the dispatcher. 270,210 in that same year. Women are under diagnosed, women are even less informed about the symptoms. Women over all have a tendency to care for others first and put themselves last and dangerously so; they ignore symptoms. What are the symptoms for Women? Neck, shoulder, upper back and abdominal discomfort. blockage of the smaller arteries cause less acute symptoms. By the time they notice something is wrong and go to the emergency room it is too late and so much damage is done that is irreversible or worse immediate death. What are the symptoms for Men? Tightness, crushing, squeezing, choking or aching. There is something called "Stable Angina" in which repeated attacks occur after exertion or over eating and stress. In this form of angina, attacks gradually get worse over time and the more serious may appear suddenly or occur frequently with or without apparent cause. A third kind is called Prinzmetal's Variant Angina which is essentially a migraine of the coronary artery. Nerves fire off and cause the muscles lining of the coronary arteries to tighten and shut off circulation to the heart. In this type of heart attack the arteries are actually clean but the microscopic blood vessels are severely tightened and circulation in these are constricted or blockage. Use caution when using any herbs. If on medications you MUST check for contra indications as they can nullify your meds or augment them. 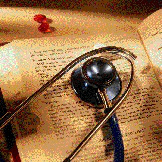 You cannot use heart medications in combination with herbs for heart this is NOT advisable. Testimonial 1998: "I would like to share a testimony about my daughter-in-law. She had open heart surgery before we met her, over 20 years ago. She made annual trips to Bethesda, MD to the National Institute of Health. On May 6, 1997, she died on her way to the hospital; she flat-lined between 1 or 1-1/2 minutes in the ambulance. A wonderful iron formula and it tastes good. Other sources of iron do taste bad as well as the fact that they are hard for the body to use as it is not a natural source for iron. Usually mixed with sulfur which for those whom are allergic will have a reaction. This formula being plant based is ideal for the body to use, your cells prefer this as to ground metal form of iron. This will not severely constipate you nor destroy the Vitamin E in your system which the iron ore/sulfur form can do nor clog up your liver function as the inferior form will do. 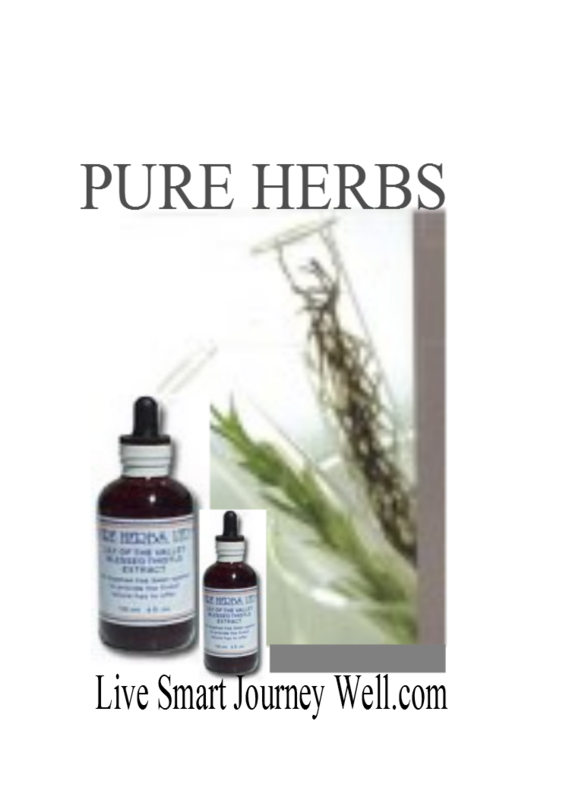 Remove physical shock from the nervous system, bumps, bruises, burns, sprains, injuries vulneary (promotes healing), operations, genital inflammations, reduces cholesterol, reduces swelling of boil. coughs, appetite, albumin (egg white-big bubbles on top of urine), expel mucus, tuberculosis. Testimonial: Jean S. 88 yrs young, has high blood pressure of 178/111. Alarming yes...she called and I asked her to take Gotu Kola (in this case capsules (qty 2 am only) and Tumeric blood thinner which lowers BP and removes clots and Nettle (anti inflammatory). Took her blood pressure reading a few hours later 146/79. Amazing. Simple simple....HT Combo along with Cayenne is excellent as well. Always add in some cayenne capsules if you cannot handle heat. Ideally you want to taste some of the heat as the tongue is a computer and it sends signals from the cayenne BTU to the body setting the alarm and the body response is engaged. Bleeding will stop and healing begins. SEE PG&G turmeric, gotu kola and BN(brain nerves) and add Herbal Adjustment (cayenne formula blend) and Nettle. All listed below. ORAL CHELATION, has been around since the 70's. Why did it go away? What your doctors today do not know, but years past they dropped it along with coffee enema's from the Merck Manual. WHY? come back when this article will be posted as to why you need to know about oral chelation. And I will throw in the coffee enema benefits as it is part of the conspiracy to make drugs the number one choice by doctors. difference between a normal life and a substandard existence with reduced activity, life expectancy and or memory problems. Oral chelation is the action of taking herbal cleaners and conditioners, by mouth, to prevent and clean out circulatory congestion. Please note, there need be no fear a problem elsewhere. energy. Blood cleaner, scaly skin, baffling disorders to name a few. Repairs bones and soft tissue. Meat cutters used it to keep their butcher block clean hence the name. Antiseptic, antibiotic much like Comfrey aka Knitbone in that it rapidly heals injuries and broken bones. Can apply liberally to the area topically as well as internally. Nettle is great for Arthritis, dissolves uric acid, repairs kidney and urinary system, start and continue milk flow, stubborn skin problems, calcium source, chromium source, magnesium source, helps circulation, weight reduction, hair growth. Also incredible as an anti histamine for allergies. An overview published in Advanced Experimental Medical Biology in 2007 states that, "Curcumin has been shown to exhibit antioxidant, anti-inflammatory, antiviral, antibacterial, antifungal, and anticancer activities and thus has a potential against various malignant diseases, diabetes, allergies, arthritis, Alzheimer's disease and other chronic illnesses." After 90 days control group testing, the researchers found a 58 percent decrease in overall reported pain and stiffness as well as an improvement in physical functioning among the curcumin group compared to the controls. They also found, via a standardized testing procedure, a 300 percent improvement in the emotional well being of the curcumin patients compared with the others. And blood tests showed a 16-fold decline in C-reactive protein, a marker for inflammation. Patients in the curcumin group were able to reduce their use of non-steroidal anti-inflammatory drugs by 63 percent, compared to the other group. warning: do not use if taking blood thinners or have bleeding disorders. blood pressure, prevents hemorrhages and strokes. ( H.T., Lily-Of-The-Valley, Blessed Thistle, Capsicum ). by Dr. John Christopher. Excellent, I send people to amazon for books and such as you can get the best competitive price. I like to give you knowledge and also find you good prices. The Cover illustration shown here is white and does not show well. — S. K., Roseville, MI P.S. ―I stress that you use this product religiously and according to the dosage provided. Varicose Veins & Hemorrhoids, stroke repair, restores blood vessels, remedies scar tissue and adhesions in veins, lungs, intestines. (Knitbone, Calendula, Chestnut Leaves, White Oak Bark, Wild Rose hips). S.H.-G. is temporarily discontinued due to Lady Slipper being unavailable. This is sad to report it is now an endangered plant. 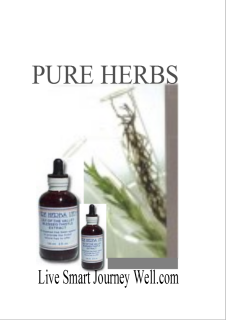 Formulated by master herbalist who suffered a severe brain injury in a car accident. She had headaches, seizures, trouble walking, talking and thinking. Another of her side effects to brain trauma was depression. big problem for Geneva. The doctors had given up on her after two years. seizures stopped quickly. But, this was just the beginning of the healing for her/ Clients of hers reported that when doing an intestinal cleanse it helped reduce stress and gave them energy. One client started taking S.H.-G as a potential help for chronic stress. She has a type A personality that goes from zero to GO in the blink of an eye. She stated, “That’s just the way it is,” and then states she couldn’t have bee, more wrong. S.H.-G helps her dial the level down when the episodes come without sacrificing any motivation or clear-headedness. It also helped manage her stress well and she could get things done. For power house-effect use with P.G.-G.
can also remedy this underlying cause for most all disease. Change your pH to a healthy balance, live smart and you will definitely journey well. To receive the eBook on how to use a Glycemic index chart to lose weight write to us Ask for "Glycemic Index Uses for Weight Management"
A low glycemic index food is 55 and below. Medium glycemic index is 56 - 69. High glycemic index foods is 70 or more. or juvenile type 1 diabetes finding those foods that will maintain your blood sugar levels can be easy. Fun recipes are out there, get creative.